THIS IS THE REAL HOTEL OFFICIAL WEBSITE ! BOOK DIRECTLY TO HAVE OUR BEST ROOMS, DISCOUNTS ON THE PRICE AND/OR SERVICES OFFERED! 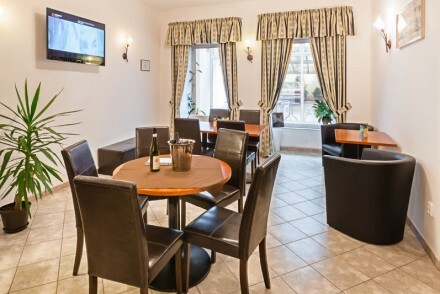 The Augustus et Otto Hotel is a nice and family four stars hotel situated in the centre of Prague. The property has been completely and recently modernized the building with its 21 rooms and one apartment. 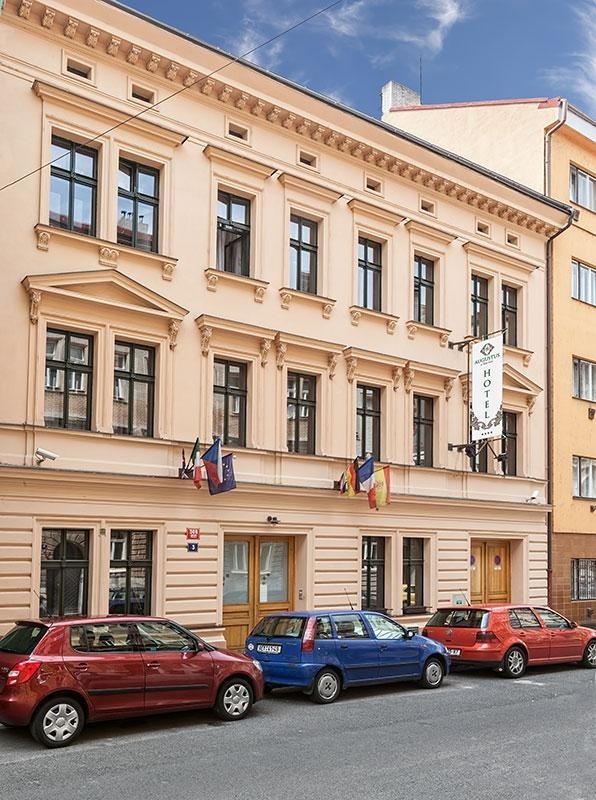 The Hotel is located in a quiet street of Prague Town, only a few footsteps away from Prague’s beautiful cultural monuments, boulevards, Mala Strana quartier and 100 meters from the river Vltava. The interior of all rooms are classic and comfortable furnished equipped with furniture made specially for our hotel. In the Hotel there is a lounge, a courtyard to taste a glass of wine or a bier and a private parking place for our guests. A restaurant for breakfast waits for our guests in the morning. Our Hotel is perfect for those who want to stay at a central and quite place offering a high level of services and modern comforts. Hotel Augustus et Otto offers comfortable double, triple, family rooms and an apartment. All rooms are equipped with sat television, telephone, minibar, safe, coffee and tea facilities, private bathroom with hairdryer. Some rooms are with air conditioned. Room for handicapped guests is also available. 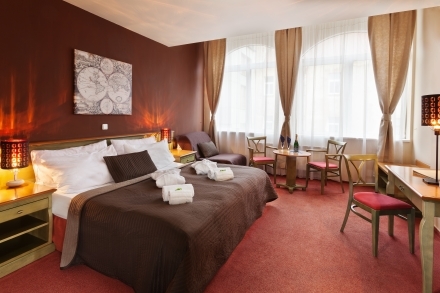 Hotel Augutstus is located in the center in a quiet part of Prague – Smichov,Mala Strana. From the Hotel is possible to discover all the centre of Prague by walk, expecially Mala Strana quartier ( the medieval quartier ) and its amazing Charles Bridge ( within 15-20 minutes on foot, or 4 stops by tram). The Popular "five-star" shopping centre, Novy Smichov, and Metro Station Andel is within 5 minutes on foot from the hotel. Prague’s central square (Wenceslas square, or Vaclavske namesti) is within 3 metro stops from the hotel (cca 6 minutes) or 10 minutes by tram. or 20 minutes by walk.There are many restaurants, cafes and clubs, as well as two big cinemas near the hotel. 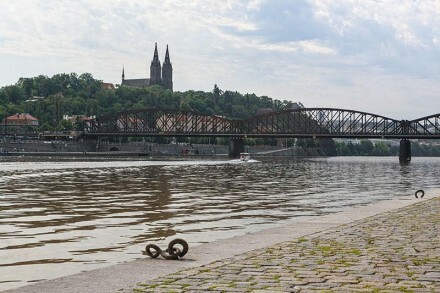 100 meters from the Hotel there is a beautiful walk next Vltava river. Tennis courts and an elegant modern fitness centrum is available few steps from the Hotel. The legendary STAROPRAMEN brewery is located in the immediate proximity from the hotel. Guests of Hotel Augustus et Otto can tour the brewery, enjoy fresh beer and traditional Czech cuisine directly at the brewery restaurant.